Giving a gift of fine wine for the holidays is a time-honored tradition. In fact, the months leading up to Christmas are always the heaviest selling season for wines and spirits. But: not at our local wineries. Visits to wineries in the beautiful Virginia countryside fall off once the leaves are off the trees. There’s no good reason for that. So many of them have roaring fireplaces, mulled wine, holiday gift bazaars, and more. Three Fox Vineyards in Delaplane has plans for an ornament making party and music throughout the month. Barrel Oak Winery features poinsettia cocktails every Sunday in December. And, to entice the thinning crowds, quite a few wineries offer special deals and discounts at this time of year. So why not give a local wine as a gift? Afraid you’ll make a mistake? How do you know your selection with make the proper impression? Here’s a great way to start. You are probably familiar with the Virginia Wine Festival. It’s the Commonwealth’s longest running fest, begun in 1975. The organization that puts the festival together, the Atlantic Seaboard Winery Association (ASWA), has roots that go deep in the Virginia wine scene. Founded in 1973 as the Vinifera Wine Growers Association, ASWA was renamed in 2008 to reflect an expanded regional focus and desire to explore a broader range of grape varieties. Today, wineries in the 17 east coast states, plus PA, WV, and VT, can be members. To help identify the best of the best, the Atlantic Seaboard Wine Association holds an annual competition, the largest in the US focused exclusively on the east coast. Judges “blind taste” close to 500 wines, that is, they know the category of the wine (ie Chardonnay, Rose, Fortified), but NOT the name of the winery. Gold, silver and bronze medals are awarded. From all the golds, a “Best of Category” winner is selected. And, believe it or not, in the 30+ categories of stellar eastern wines, almost two-thirds are from VA and MD. Focus on the Best of Category winners and you’ve got a wine list vetted by ASWA’s experts. Next, you need to evaluate the personality of the gift recipient. Classic: Need to impress a boss or an important client? You can’t go wrong with Cabernet Sauvignon. 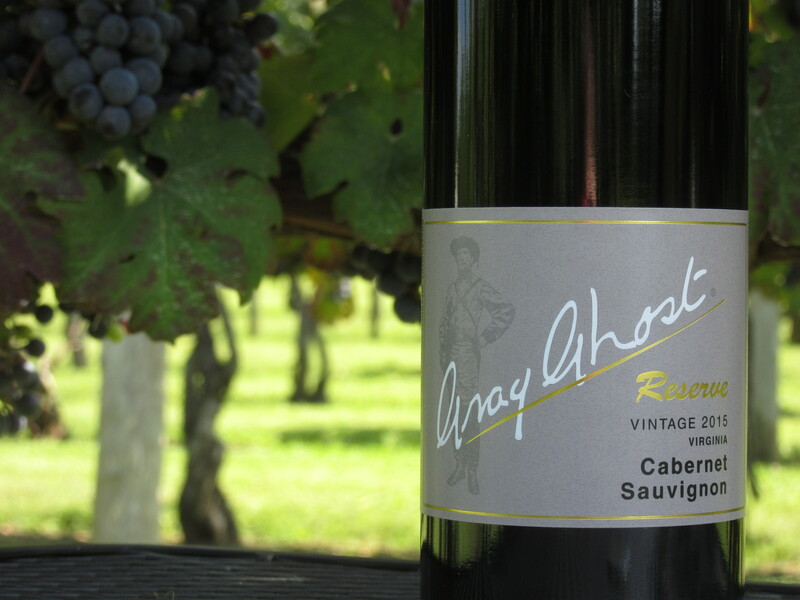 Approaching its 25th anniversary, Gray Ghost Vineyards was a pioneer of the modern Virginia wine trade, and their Reserve Cab, 100% estate grown, is only produced in exceptional years. Another classic is a Bordeaux-style blend, like Pearmund Cellars Ameritage Reserve 2016, a blend of cabernet sauvignon, petit verdot and malbec, with dark fruit, spice, and vanilla flavors. Or cheat a little (there’s tannat in this blend) with Philip Carter Winery of Virginia Cleve 2015. Cleve Hall was an historic estate owned by the Carter family, and this tribute wine displays the quality the Carter family has been known for since their first wine award in London in 1762. The wine is rustic yet velvety, with subtle oak married with jammy notes. Foodie: Do you have a friend who is very precise when selecting wines to serve with dinner? Often overlooked, sauvignon blanc is a much more versatile food wine than a typical chardonnay. Consider Stinson Vineyards Sauvignon Blanc 2017. Winemaker Rachel Stinson-Vrooman ferments the wine on the lees in a concrete egg and in traditional stainless steel giving it a vivid, mineral-laden profile. 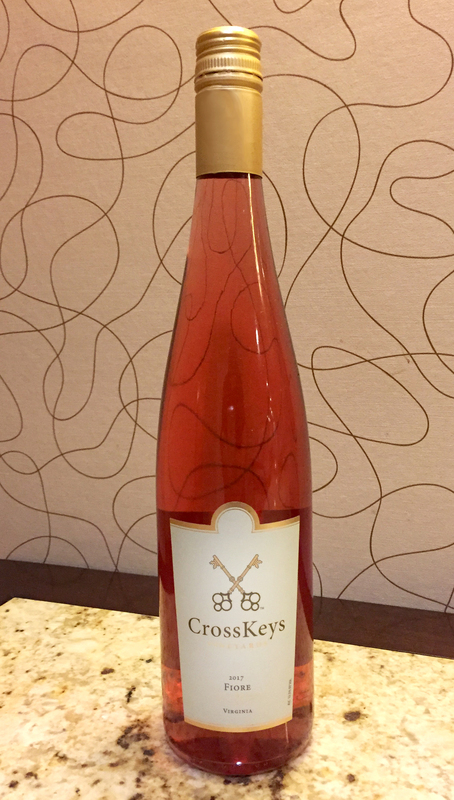 Or thinking about the ubiquitous turkey or ham, try ASWA’s 2018 Best of Show winner CrossKeys Vineyard Fiore 2017, a rosé composed of 70% cabernet franc and 30% chambourcin, made with estate-grown Shenandoah Valley AVA fruit. It shows a lush fruitiness balanced with savory herbal notes. Loyalist: Put a quintessential Virginia spin on your gift-giving with Barboursville Vineyards Viognier Reserve. Always excellent, the wine is 100% varietal, 100% stainless fermented and aged on the lees. Pair it with a red from Pearmund Cellars: Cabernet Franc 2016, showing a characteristic hint of bell pepper combined with cocoa, cherry and black raspberry flavors. Trendsetter/Wine Geek: Go experimental with Boordy Vineyards Landmark Albarino 2017. The Spanish grape albarino is still a rarity here. At Boordy, the wine is cool fermented and bottled early to capture fresh peach and flower aromas and crisp acidity. A new darling on the Virginia wine scene is petit manseng. Cooper Vineyards, sold in 2015, is transitioning to the name Fifty-Third Winery. Fitting, as it was the 53rd farm winery licensed in VA. Their Petit Manseng 2016 is a medium-bodied quaff with notes of pineapple, pear and honey. Fun, just Fun: Your friend who perpetually throws house parties can probably use a case or two. The Barns at Hamilton Station is a family-owned winery on a former dairy farm. Virginia luminary Michael Shaps is the winemaker. Their Cascina 2017 is a versatile blend of sauvignon blanc, chardonnay, viognier and petit manseng, with grassy, herbal notes and a tropical finish. Instead of a mass-produced pinot grigio, go for something handcrafted like Fox Meadow Winery’s Pinot Grigio 2017. The wine shows an exciting a balance of acidity with minerality and citrus notes. Sweets for the Sweet: We all have those friends who, while not really “wine people,” simply love them some sweets. 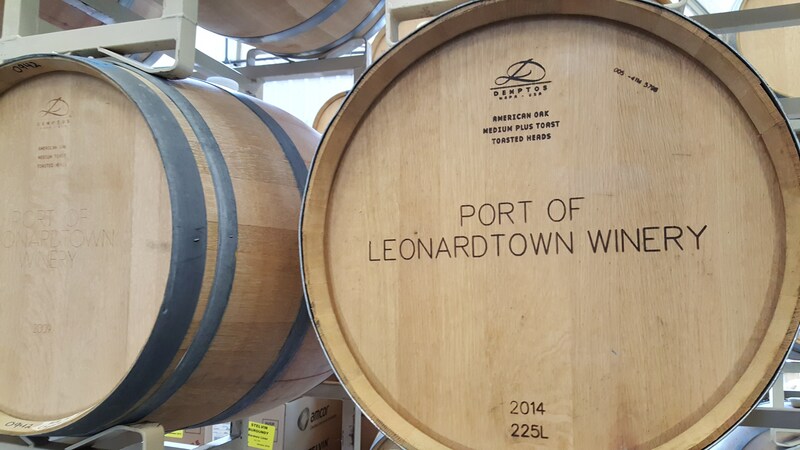 And, yes, you are reading this correctly: Port of Leonardtown Port captured the Best of Category for port-style wine. The wine is robust, and rich with dark fruit flavor. Clearly, there is a perfect Virginia or Maryland wine for everyone on your list. Most wineries will ship in state, so even if you can’t make the trek, you can still support our local vineyards. And, for your special wine guy/gal, ask your favorite winery if you can purchase a gift membership to their wine club. That way, the giving lasts all through the New Year! To see the full list of ASWA’s Best of Category winners, go to aswawines.org/aswa-wine-comp/award-winning-atlantic-seaboard-wines/. Mary Ann Dancisin (mdancisin@studioecs.com) is a Certified Specialist of Wine with more years in the wine trade than she’d care to acknowledge. Currently a marketing consultant focusing on wine, food and travel, she is planning to revive the Virginia Wine Guide Online, a spin-off of the old Virginia Wine Gazette, in the coming months. She was appointed to the Board of the Atlantic Seaboard Wine Association in March of this year.